Online Voter Registration at the LWV site Vote411.org or MyVote.wi.gov. This option is only available if you have a WI Driver License or ID card. You will need to have the same address on file with the DMV and the Wisconsin Elections Commission. Complete a registration form at MyVote.wi.gov, print it, sign it, and mail it with a copy of your proof of residence to your municipal clerk. Register in person at your local Municipal Clerk's office by 5pm on the Friday before an election. Starting 20 days before an election, registration is closed. You can only register in person in your city, town, or village clerk’s office. Starting September 25, 2018 there will be a permanent Voter Registration Station at Mead Public Library in Sheboygan! From 5 pm on the Friday before an election, you may not register to vote, even at a location offering in-person absentee voting. A bank or credit union statement or credit card statements. 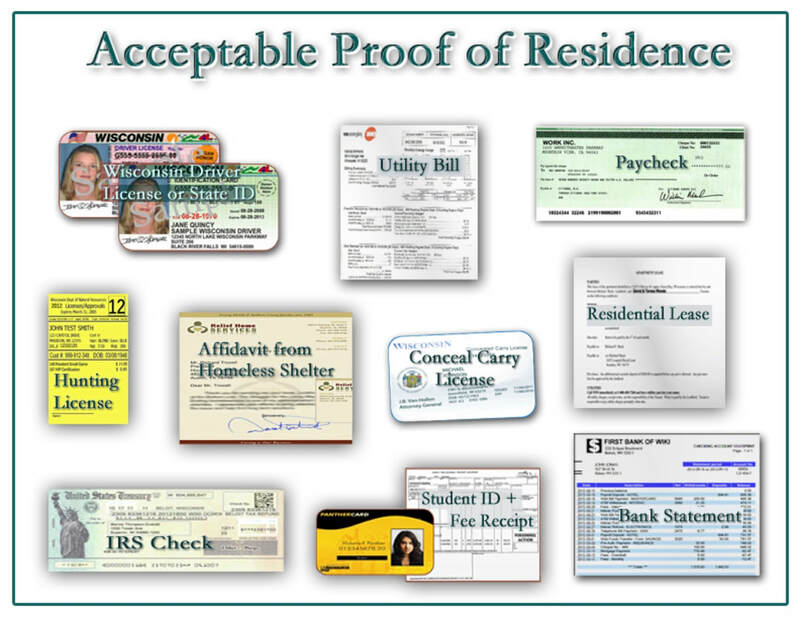 Homeless voters can prove their voting address with an affidavit on public or private social service agency letterhead identifying a homeless voter and describing the individual’s residence for voting purposes.